I’ve broken this post down into three sections. Section 1 has the materials, i.e. sources paint and section 2 is about learning, whether this be online or from traditional print publications. So, let’s dig in. First, I wanted to give a couple of special mentions to two awesome deals that I found over at Cass Art. These are online exclusives only so don’t try and find them in store. How beautiful does this look?! At the normal price of £89.99, I’d probably skip it however today it is on offer at just £39.95 – a 55% saving! Well worth a look at that price for sure. It is available from the Cass Art website but at that price, I can’t tell you for how long. Normally £134.99 but marked down by a massive 75% and available, for now, at the stupid low price of £32.50. Again, available from the Cass Art website. 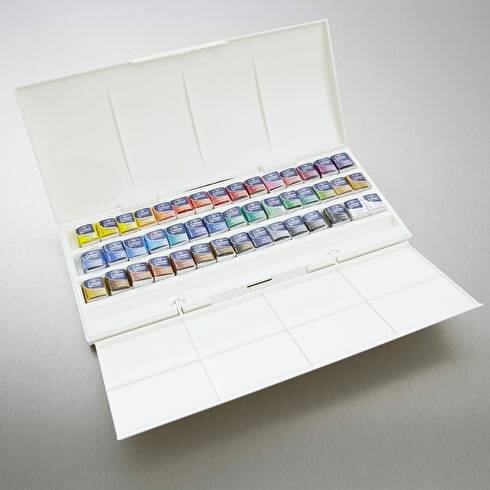 Cass Art has many other watercolour offerings. Here are a couple more purse friendly options. Normally under £10 anyway but on sale at the moment for just £7.50 for the set here. 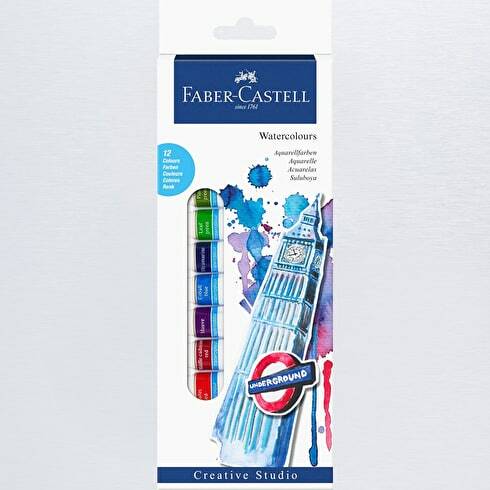 Ok, for the stocking filler, how about a watercolour set for UNDER £5 ? Ok, deal! A known brand. 12 colours. Just £4.95. Not much more to be said on this one. It is available here. 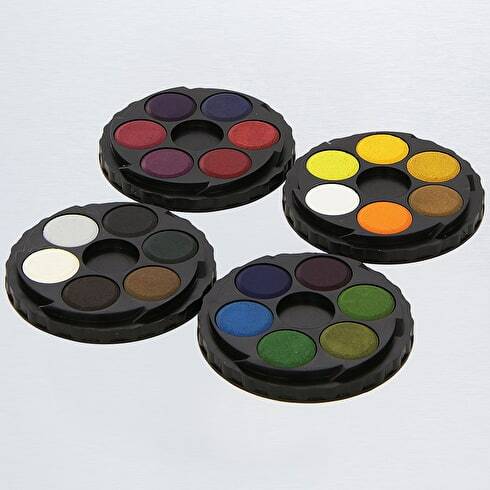 Not a fan of sets because you want just your fave colours? No problem, have you seen that The Range stock individual half pans? Well, they do and most are available at only £1.99 per half pan. 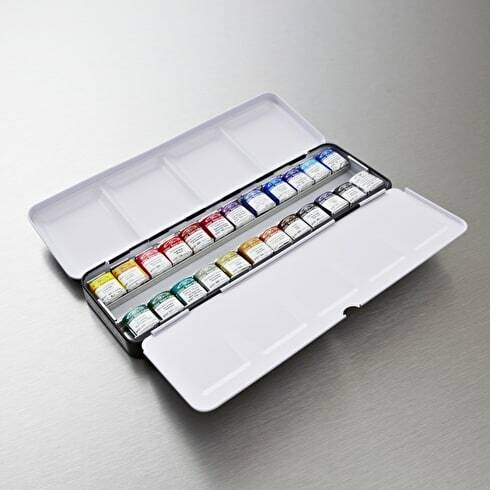 Ok, if you’re not into the splishy splashy watercolour trends of the moment and would like to get to grips with the medium and learn from the experts, here are a few recommendations for learning resources. First, Wordery. An online book retailer with literally hundreds of titles available on watercolour techniques, many with a saving – because they are online, they avoid the overheads of most major stores. You can see the full range of titles here. Find it easier to watch someone as they work with a medium? Then you need to check out the range of courses available over on Udemy. There are courses from experts in many different styles and at a range of price points so whatever you fancy having a go at, there is someone there to hold your hand along the way. Ok, that pretty much wraps this Craft Saver Deals post up. I hope that there is something there to spark your interest. So, you DON’T go round chocolate shops randomly licking the goodies? !